Spider Solitaire, one of the most popular variants of Solitaire card games, now is free! This free patience game gives you the opportunity to play a must have card game. Solitaire has been around since the dawn of time, but this free version ups the ante by adding sharp, realistic graphics and a superbly designed game board. 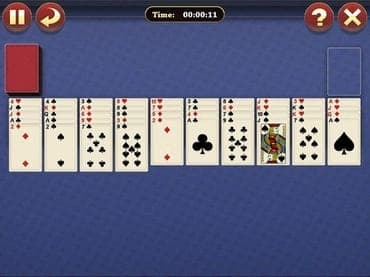 Если у Вас есть вопросы, связанные с игрой Lucky Spider Solitaire пожалуйста используйте эту форму для связи с нами. Скачайте игру Lucky Spider Solitaire для ПК Бесплатно!